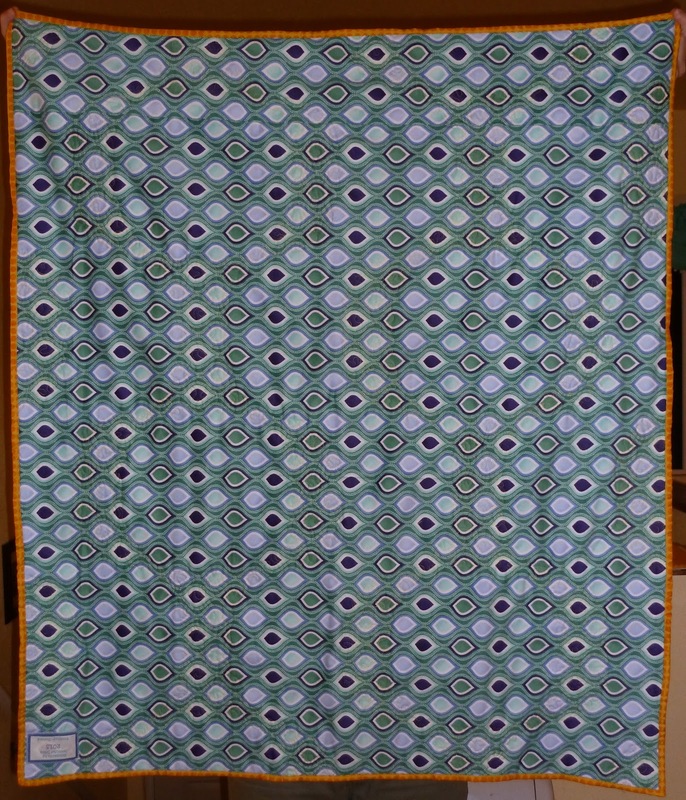 Knotted-Thread: Mod Pop QAL - Finish! 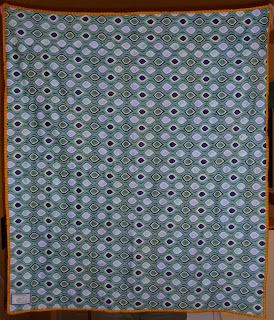 *lump in throat* beautiful post Jennifer - your quilt is stunning. Beautiful finish! And what a great idea for the recipient! 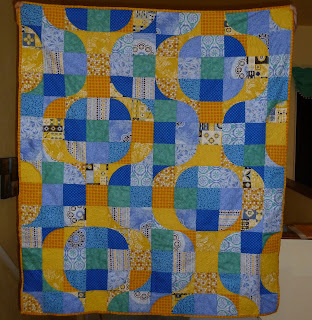 Beautiful quilt, and lovely story. 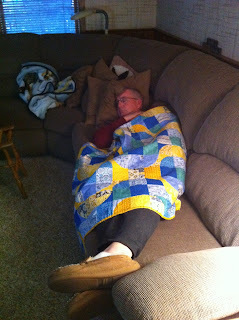 Yes, that's what quilts are for. P.S. Did you know that you're the winner from the mod pop link-up?? Aww, great way to say thank you to him! Love your quilt! Great gift for your dad, for sure. I know the feeling of moving and not being able to settle in, too. In the middle of moving back to where we started from after less than six months and thankful for it. Some opportunities are great in one department but not in another. It happens. Glad you're well adjusted now. Good luck with whatever's next! These are nice, tropical colors. :) It's beautiful and it looks like your dad is enjoying it too! Beautiful quilt and the sentiment is just precious. So glad you found the perfect recipient. And yes! That's what it's all about!! Aww...I LOVE that you gave it to him. What a wonderful way to say thank you! He looks so cozy!